This workshop is designed to promote idea creation, problem solving and or to find new directions. It is ideal for smaller teams, who need a new perspective on their goals and ways forward. The result will be a rich array of new ideas, which can be taken away and made into plans for an innovative way(s) forward. Teams with a goals that need more definition or creativity. Established teams, which need a moment to think bigger. Content Creators, as well as, Marketing, Customer Service, etc. 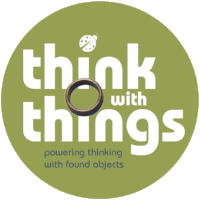 Learn to “think with things” and remembering how to play! Working in fast paced 8min long “idea dumps” -all ideas are on the table. Small groups work to build best ideas into real doable prototypes and how to implement. Discovery consists of looking at the same thing as everyone else and thinking something completely different. Thank you for inquiring about a corporate workshop. We will get back to you within 2-4 working days with a response. Have a wonderful day!